Happy Friday! I’m jumping on the everything bagel trend today with these Everything Bagel Cornbread Waffles. 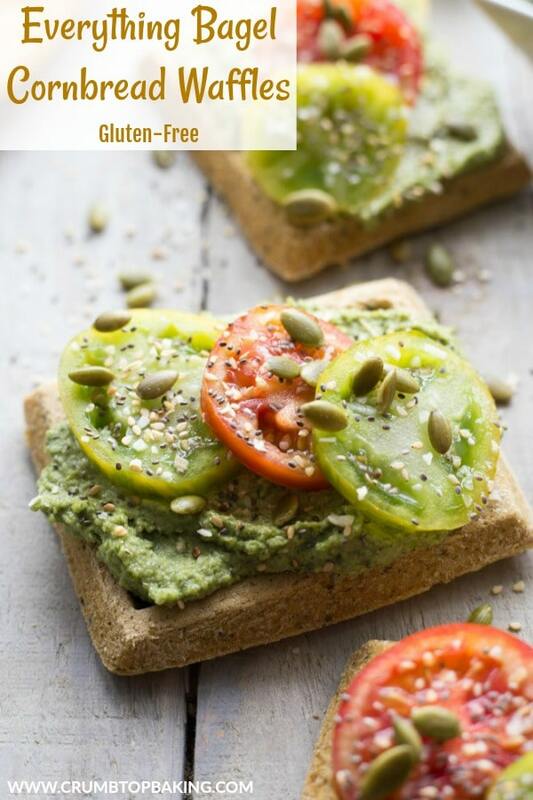 Gluten-free with lots of flavour, and perfect for breakfast or even breakfast for supper! While I’m a lover of waffles, I’ve always been a bit skeptical of savoury waffles. To be honest, I’ve never really given them a chance. When I think about waffles, I think about dessert for breakfast. Sweet, without being overly sweet, and topped with lots of fresh fruit, maple syrup and coconut cream….ooh, and a sprinkle of coconut. Doesn’t that sound heavenly? I’m drooling just writing those words. So, as you can guess, I was a bit hesitant to mess with my waffle routine. But you know where this is going, right? I totally misjudged savoury waffles and I’m now completely on board with turning waffles into salty, garlicky foundations for eggs and avocado or pesto and tomatoes. I haven’t even tried chicken and waffles yet, but I totally get the appeal of that combo now! 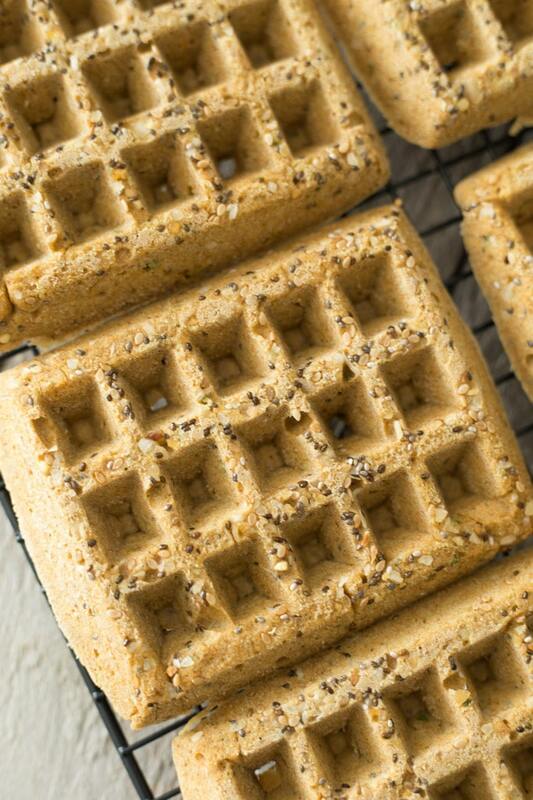 The key to these Everything Bagel Cornbread Waffles, aside from the corn flour, is the everything bagel seasoning. I’ve been adding this seasoning to everything lately. It’s just a mixture of chia seeds, sesame seeds, onion and garlic. (I don’t make it – I just buy it from Epicure 🙂 ). I’ve been using it mostly as a salad topper, but also as a seasoning for chicken or ground turkey. For these waffles, I just added 2 tablespoons of the seasoning to the batter and also baked some right into the top of the waffles. It’s pretty darn delicious! 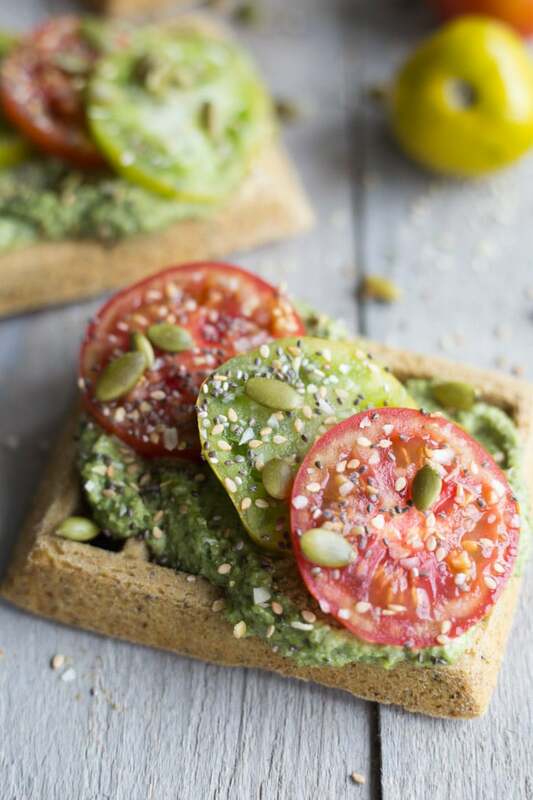 My favourite way to enjoy these Everything Bagel Cornbread Waffles is with a big dollop of my creamy pumpkin seed pesto and tomato slices. It’s amazing! You have no idea how much of this I’ve been eating lately. And not just for breakfast. These waffles make a great lunch or light supper. Waffle versatility! Gotta love it 🙂 . I know most of you may use waffle irons when you make waffles but for this recipe I just used my silicone waffle mold. I have a vertical waffle iron which is great for making traditional waffles with a lighter, thinner batter. But the batter for these Everything Bagel Cornbread Waffles is super thick, so I found it much easier to just use the silicone mold and spread out the batter with a spoon. The waffles still bake up evenly and they pop out of the mold without sticking. Perfection! There are lots of different ways you can top these waffles. If you make them, let me know what you think in the comments below. 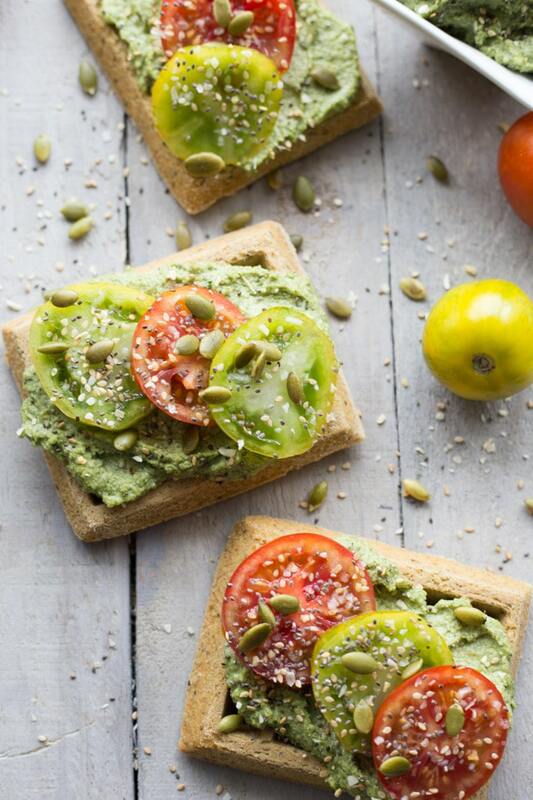 Or take a snap with your favourite toppings and post the pic to Instagram. Don’t forget to tag @crumbtopbaking so I’ll see it. 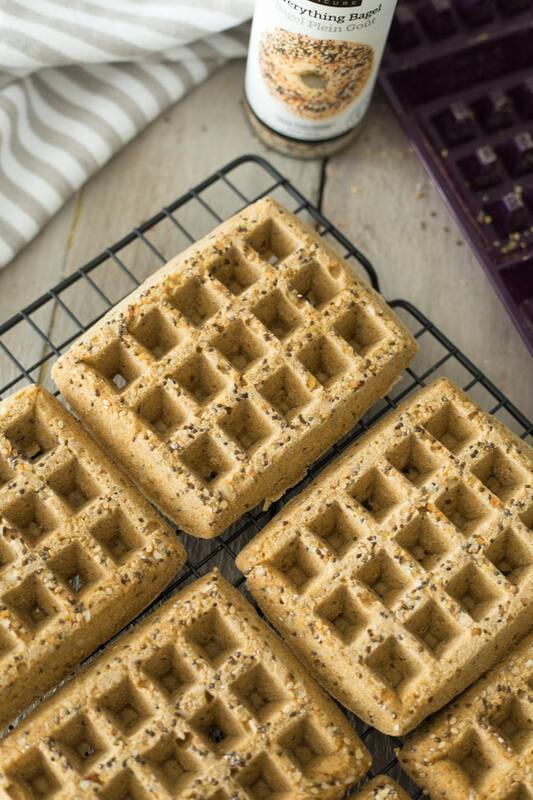 Everything Bagel Cornbread Waffles are clean eating, gluten-free and seasoned with everything bagel spice. They’re perfect for any meal of the day. 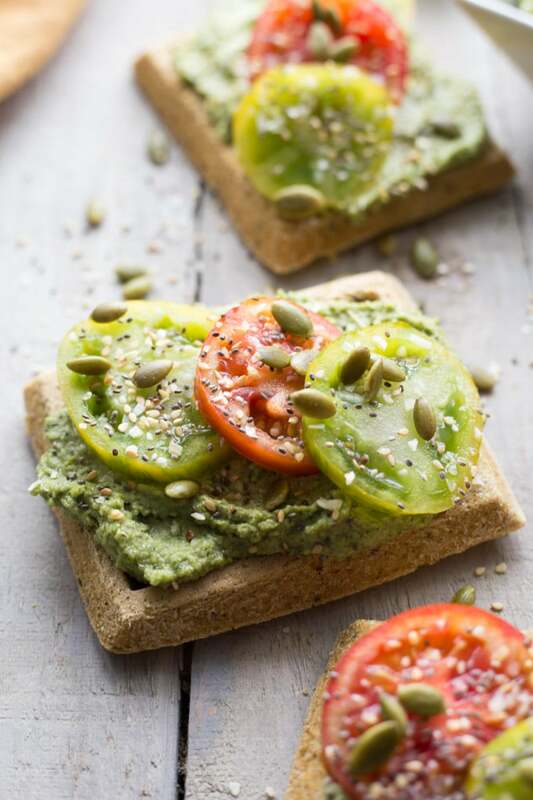 Just load them up with eggs and avocado or pesto and tomatoes, and you’ve got yourself a savoury breakfast, filling lunch or light dinner! Pre-heat the oven to 350 degrees and grease a silicone waffle mold. (I also place the mold on a baking sheet for stability). Sprinkle 1 tbsp of the everything bagel seasoning on the bottom of the waffle mold. (When you remove the baked waffles from the mold, the seasoning will then be baked into the top). In a large bowl, add the flours, baking powder, baking soda and salt and stir until combined. Stir in the 2 tbsp of everything bagel seasoning, nutritional yeast, oregano, chives and garlic. In a small bowl, whisk together the almond milk, eggs and olive oil. Create a well in the dry ingredients, and pour the wet ingredients into the well. 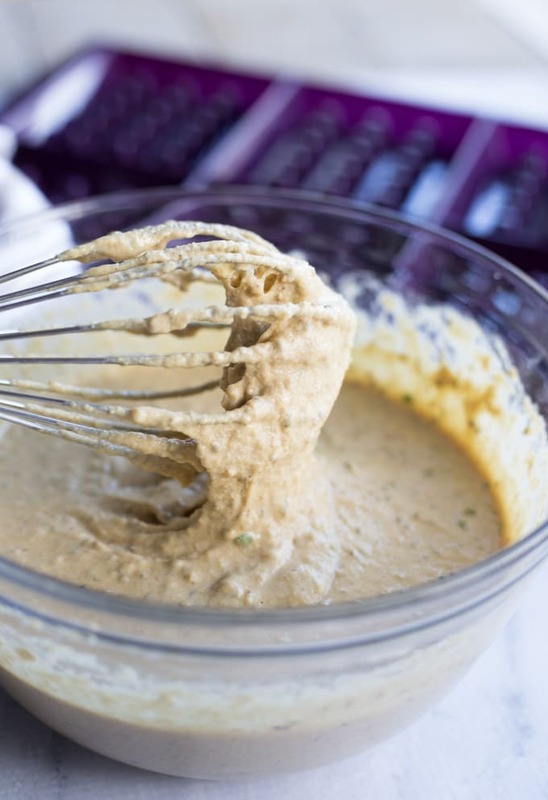 Whisk the mixture together until well combined. Pour the batter into the silicone mold (you will need to use a spoon to spread it out evenly). Bake for 15 minutes or until the waffles are browned up and firm. Remove from the oven and let cool in the mold for 5 minutes. Then turn the waffles out on to a cooling rack or serve immediately with desired toppings! You can store the waffles in an airtight container on your counter if you plan to eat them within 1-2 days. Or you can freeze them for later enjoyment! 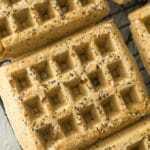 For these waffles to be gluten-free, you will need to ensure the baking powder and spices you use are gluten-free.